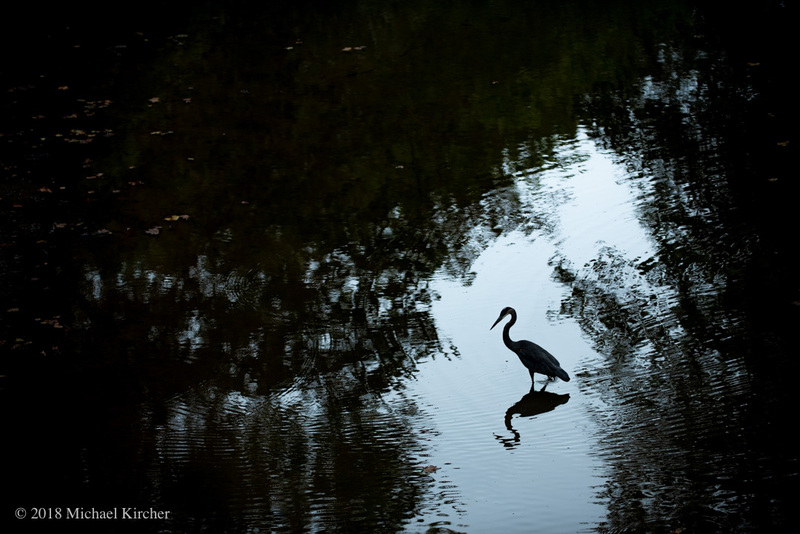 Great blue heron silhouetted with reflection. A great blue heron and its reflection in the canal. Standing on the footbridge south of the visitor’s center I saw this heron patiently waiting for a meal to happen by.